Think about all the roadways in Dallas-Fort Worth that have areas under construction. Actually, it might take less time to consider the highways that don’t have some construction. This is only an added danger on roadways and intersections that already present drivers with a greater risk of being in an accident. 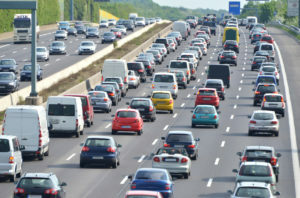 To help you avoid these traps, Dallas chiropractor Dr. Zinovy Chukhman offers a list of the most dangerous highways and intersections in DFW and tips on how you can be a safer driver. Believe it or not, being in a car accident is not simply a matter of chance or statistics. There really are steps you can take to keep yourself and your passengers safer. Don’t drive in the faster far left lane. Most highway accidents happen here. Keep an eye on the road ahead and not only the car that is directly in front of you. Don’t change lanes without turning around to check you blind spots first. And try to stay out of other drivers’ blind spots, too. Steer clear of cars with all-over body damage or ones that drift from lane to lane. Keep you car in good condition with regular maintenance checks and tire changes when necessary. Don’t drive at night if you can avoid doing so, because you’re likely to be more tired. Also, there are more drunk drivers on the road after midnight when bars close. Of course, if you are in an accident—and we sincerely hope that you never are—call our office to schedule an appointment with Dr. Z. Whether you’ve been involved in a slight fender bender or a more serious accident, the benefits of chiropractic adjustment can help with discomfort immediately and in the long run.